A few years ago, I visited Paris for the first time. I got off the tightly packed plane at Charles de Gaulle airport and walked through the crowded terminal with my bag on my back and a giddy smile on my face. I had arrived and I couldn’t believe I was really, finally in Paris. I stayed in a small apartment in the 11th arrondissement on the corner of boulevard Charonne and la rue Terre-Neuve (Newfoundland) and say what you will but I thought it was a sign, proving that this is where I was meant to be. Over the course of ten days, I walked and took the metro all over Paris, seeing as much of it as I possibly could. For some, they visit Paris for the romance and on certain levels so did I, but it didn’t stop for me there. I wanted to figure out the metro and walk along avenue Champs Elysees and boulevard St. Germain and rue de Rivoli. My sites were not the museums (I did visit the basement of the Louvre, but that was it) or tourist packed attractions, except for one in particular. 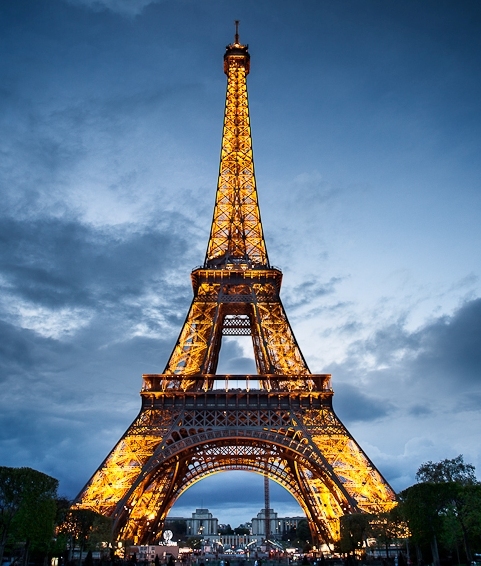 When I was in grade 4, I saw the Eiffel Tower for the first time in one of my text books. I was fascinated by this pointed mass of iron that shot up out of a strange city which lay just over the ocean. When I saw the real Eiffel tower for the first time, in all its immensity, I almost tripped and fell. I stood across the street from its base in complete, captivated awe. We took the elevators all the way to the top and there, standing 896 feet in the air, I saw the city beneath me, just waiting to be explored. The Paris I craved lay in the famous restaurants, cafes and shops that I’d heard about or sampled here in Canada. One of my first stops was the Mariage Frères tea shop in the Marais and I tested the patience of a salesman who didn’t break a sweat when I asked to sample more than my share of tea. Afterwards, I headed to Ladurée and stood in line for an hour for some macarons and then walked along Boulevard St. Germain. There, I stopped at a cafe for a much needed coffee break before continuing until I found Dyptique, a perfume shop that sells everything from luxurious soap to exquisite candles. Over the ten days, I also visited huge department stores like Bazaar Hotel de Ville and Galleries Lafayette before graduating to Louis Vuitton, Cartier, and my favorite store of all, the Hermès at 24, Faubourg Saint Honoré. That was an experience all on its own. I bought a book on the history of the store and made them wrap it up in a box for me. What’s the point of buying at Hermès if you don’t get the box? Though I was in Paris visiting a very special someone at the time, they still had to spend their days working which meant I had to spend my days meeting new people, or have an old friend come visit me. A very good friend of mine from Montreal, who was living in London, happened to be visiting Paris during my stay. One particular day, we met for a quick wine lunch and decided to do a little Paris site seeing, our way. We had our lunch in a café at Place de la Madeline and as soon as we finished, we high tailed it across the street to Fauchon, a high end fine goods shop with one of the most exquisite champagne collections I have ever seen. We spent more money than we should on salt, spices, coffee, and rum babas. After basking for an eternity at Fauchon, we headed towards the Champs Elysees where, just as we turned the corner, my friend’s paper bag broke and his purchases, including his bottle of very expensive rum babas spilled all over the sidewalk. He wailed ‘mes babas, mes babas’ as the broken bottle started leaking juice. Surrounded in a rising aroma of sugar and rum we realized how ridiculous we were and we broke into a fit of laughter, sending tears down our cheeks. Soon we were on our hands and knees on the sidewalk of the Champs Elysees trying to salvage what we could of the loss. Matters were about to get worse when a French TV crew appeared, asking people’s opinions on issues far less important to us at that very time. They asked us if we could spare a minute, but the frantic looks in our tear filled eyes sent them packing. We scooped up the broken glass and ruined food, put it in the trash and walked away with what dignity we had left. The next afternoon, I was wandering around the city alone when I received a call to meet for a lunch with someone I hadn’t yet met, at least not physically. A friend in common had introduced us through Facebook and a day or so before we had arranged to meet for lunch. I told her I’d meet her near her office so I walked from the metro, under the Arc de Triomphe and met for a simple sandwich and two bottles of wine for lunch. I was wine buzzed when we finished at 2pm, just in time to meet another friend of mine for coffee. By the end of the day the coffee and wine had evened each other out and I was right back to where I started. A few more days passed and I was nearing the end of my stay. I was seated in a café, writing about my crazy couple of days when I received yet another call, this time from a friend of my landlady who I absolutely had to meet. She had given me a gift to give him so that night we met at Chez Julien for a wonderful meal. All I can remember is laughing very loudly in this beautiful restaurant when we heard pots dropping in the kitchen and he ducked down, looked around the floor, pretending the crashing sound we heard was a simple yet significant diamond earring he had dropped. When I realized what he was doing, I choked with laughter and almost spit my wine across the table. Many people who visit Paris go to see the sites that are recommended in travel books and guided tours, but that’s not the Paris I wanted. 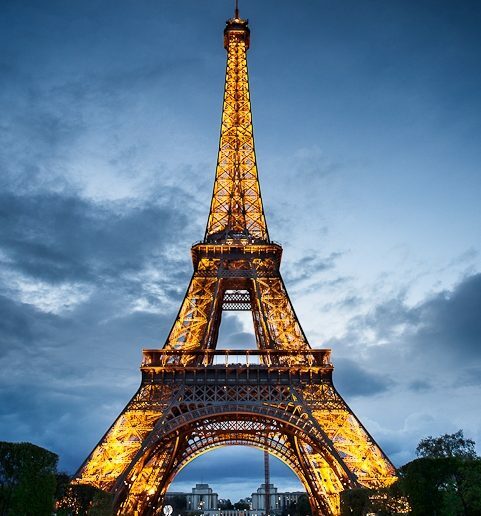 My Paris was discovered over 30 years of watching movies and television and devouring books about this city that I loved without having experienced it firsthand. I wanted to be those characters I read about, sipping wine at cafes and running through the city chasing dreams or parties or even in some cases, spies. Paris has been and may always be that one place on this planet that keeps me wondering what could have been. Though I would never change where I’m from, I have often dreamt about what life might be like if it had all started in Paris.